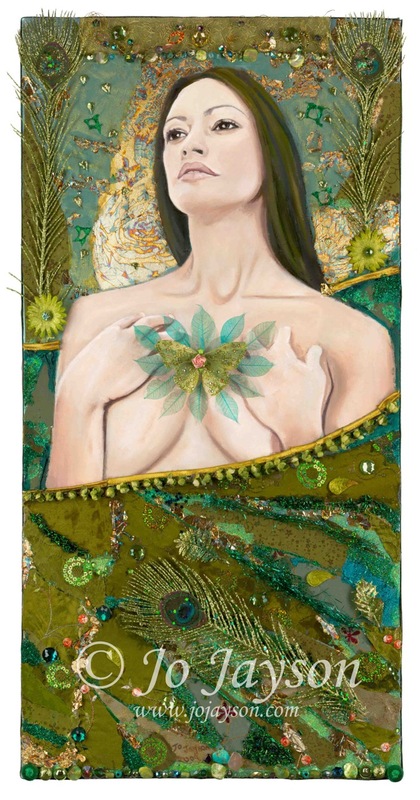 A series of paintings that depicts each one of the 7 chakras in the form of the Feminine. Focusing on the aspect of the chakra color, each painting incorporates a combination of paper, fabric, glitter, stones, beads, flowers and feathers – further illustrating and delineating subtle hues and tones within each color and its vibration. The Butterfly symbolizes transformation for me, my own transformation, but also my messenger of spirit….it is my totem. Sometimes I use it at the chakra point and at other times I use it where I intuitively feel it should be. At the bottom of each painting is the gemstone or crystal associated with that particular chakra and color energy. I have placed this gemstone next to my signature. I hope that this small gesture completes the story of each color and its healing messages. 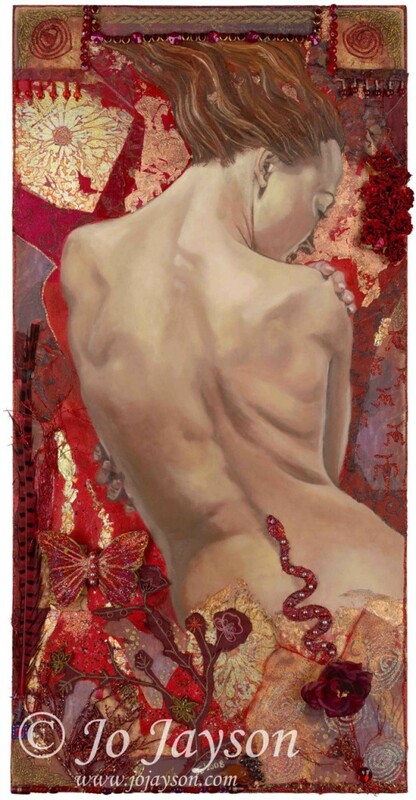 Red governs the Root or 1st chakra, situated at the base of the spine. It represents vitality, courage, relationship to the material world and stability. It is where the Kundalini energy resides. The Kundalini is symbolized by a coiled serpent that slowly makes its way up the spine towards the crown chakra, symbolizing the unlimited and unmanifested potential. “Red Root” is the expression of the ‘essence’ of the color RED in particular its association with this chakra. It speaks of the manifestation of the spirit into matter and of the passion, physical intensity and energy that this evokes. ‘Red Root’ connects us to our roots into Mother Earth. Red is an energy that vibrates earthiness, animal essence and physical passion. Orange governs the Sacral or second chakra situated in the lower abdomen. It represents joy, enthusiasm and creativity and is where the seat of our emotions and sexuality lies. ‘Orange Seeds’ is the expression of the ‘essence’ of the color ORANGE, in particular its association with this chakra. It speaks of the fertile potency of the belly of creativity and sexuality. It is where we house the joy of harmonious relations and sexual balance between our male and female sides. 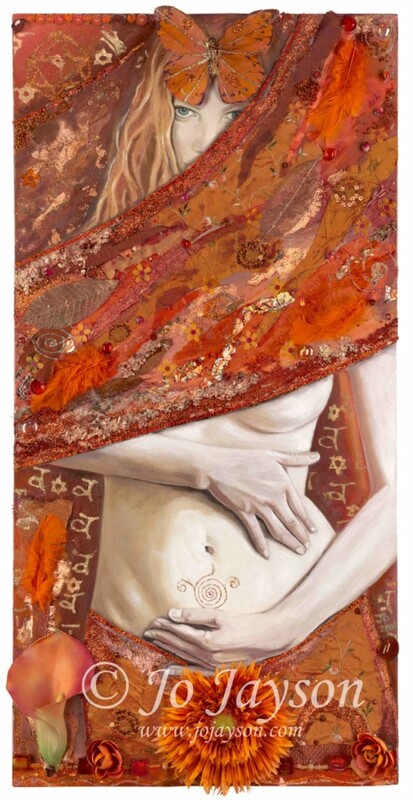 ‘Orange Seeds’ connects us to the realm of the orange vibration where we manifest our own creations and learn to have joyful, sexual and healthy relations with those around us. Orange is an energy that vibrates joy and renewal. Yellow governs the Solar Plexus or 3rd chakra, situated below the ribs and above the navel. It represents wisdom, power, self-esteem and our sense of worth. It is the body’s power house. ‘Yellow Power’ is the expression of the ‘essence’ of the color YELLOW in particular its association with this chakra. It speaks of the personal will, strong sense of self, and the innate ‘power of being’ of which we all possess within each of us.. ‘Yellow Power’ connects us to that center of ourselves which is strong, willful and in control of our lives. It connects us to our own personal ‘sunshine’. Yellow is the energy that vibrates power, strength and personal identity. Green governs the Heart and 4th chakra, representing balance, healing and relating to our ability to love ourselves and others. ‘Green Harmony’ is the expression of the ‘essence’ of the color GREEN in particular its association with this chakra. 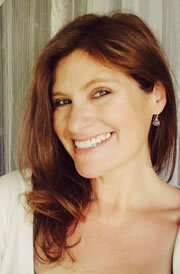 It speaks of harmony, a calm nurturing center where love is honest, balanced and abundant. ‘Green Harmony’ helps us connect to the natural equilibrium of nature, that innate state of serenity and balance we all possess and the ability to give unconditional love from our own personal center. Green is the energy of healing, balance and harmony. 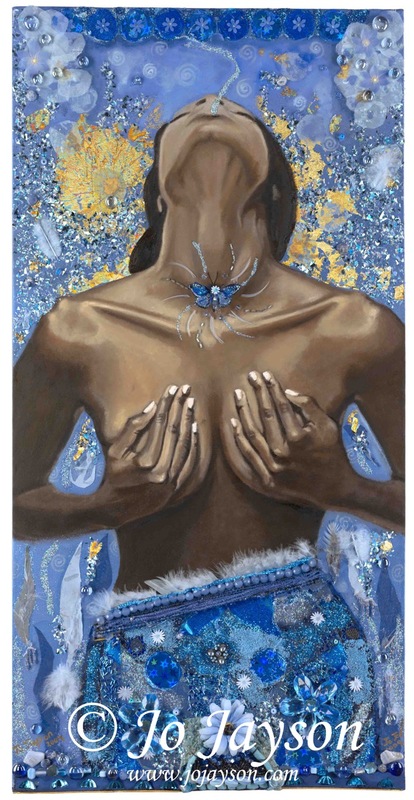 Blue governs the Throat or 5th chakra, representing knowledge, independence and communication. It is the center of self expression and self-honesty. ‘Blue Whispers of Truth’ is the expression of the ‘essence’ of the color BLUE in particular its association with this chakra. It speaks of the truth of ourselves, the expression of our creativity and our beliefs. It is expansive and limitless like the sky. ‘Blue Whispers of Truth’ connects us to our own personal truth and enables us to find the courage to communicate compassionately, yet standing strong in our own convictions. Blue is the energy of peace, expansion and communication. Indigo governs the Brow/third eye or 6th chakra, situated in the center of the forehead between the eyebrows. It represents the intuition, and is where our own unconscious self sends us messages of perception. ‘Indigo Dreams’ is the expression of the essence of the color INDIGO in particular its association with this chakra. It speaks of the mysticism and depth of the nights sky and our connection to other realms of consciousness. It is here that our dream messages and our own intuition whispers to us constantly, but is often unheard. 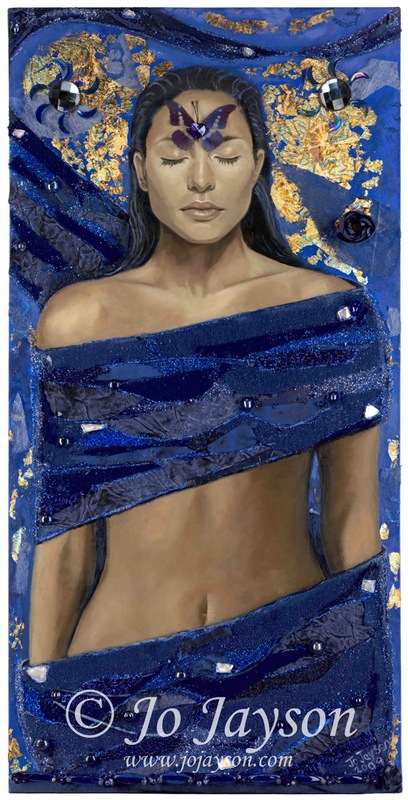 ‘Indigo Dreams’ connects us to our own psychic abilities and our ability to see life beyond our current reality. Indigo is the energy of the subconscious, the mysterious depth of who we truly are. Violet governs the Crown or 7th chakra at the top of the head, representing enlightenment, connection to Spirit and divine inspiration. It is where we receive Spirit’s energy which ultimately brings us peace and awareness. ‘Violet Flames of Bliss’ is the expression of the essence of the color VIOLET in particular its association with this chakra. It speaks of Divine inspiration, Divine wisdom and Divine perfection. ‘Violet Flames of Bliss’ connects us to our own higher self, the universal consciousness, and the knowledge that we are not separate from the whole. Violet is the energy of Divine healing, love and complete calm. When we resonate with the Violet, we enter a state of true perfection and bliss.